It's that time of the year to Celebrate your Mother! Mother's Day is two weeks away! What better way to celebrate your mother by showering her with diamonds. Buying a diamond gift takes commitment, preparation, and research. It’s unlike most gifts that mothers receive on Mother’s Day because of the thought involved. This effort speaks volumes over flowers, which will eventually wither. In today’s calorie conscious world, chocolates can add stress, or even guilt, to a woman’s life. 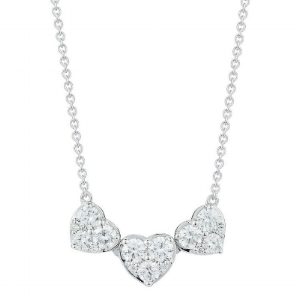 Diamonds will present a lasting reminder of the love and appreciation we hold for the mother or mothers in our lives who have already given so much in ways that we can never adequately repay. A diamond gift for Mother’s Day is an excellent way to honor the effort these wonderful people in your life expend on a daily basis simply because they care. YOU CAN ALWAYS CUSTOMIZE ANYTHING YOU WANT AT GINA AMIR!